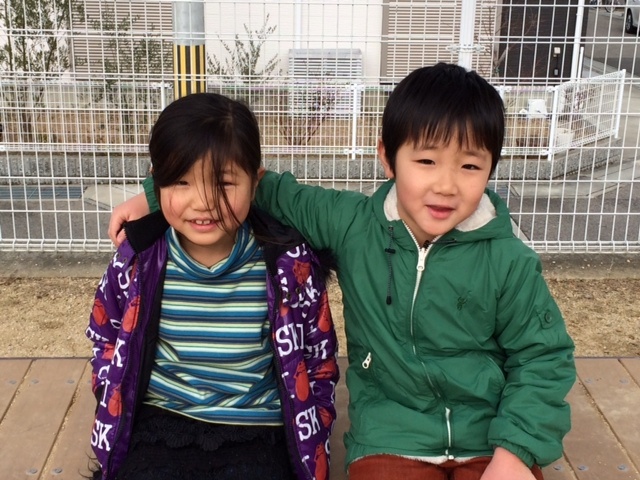 Olivia, our seven year old, did not have close girl friends during her nursery school/kindergarten years here in Sanda. But there was one boy, Tomo-chan, who was just a good friend to her. She would come home and talk about how they played together. He was an only child, and his mom had lived in Australia for several years. It was fun to become friends with them – she would practice her beautiful English on us. We have stayed in touch through Facebook since moving two years ago. When I called to tell her we were in town, she invited us to come right over! Olivia and I drove over and met Tomo and Aki in the park. 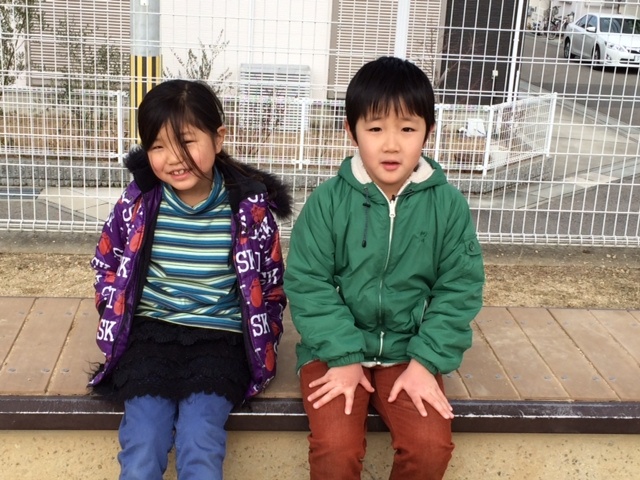 Aki said that Tomo often asked about Olivia; and I know Olivia couldn’t stop talking about finally getting to see him after our long absence since moving up to Tohoku! Aki and I laughed a lot. How our two kids had changed! 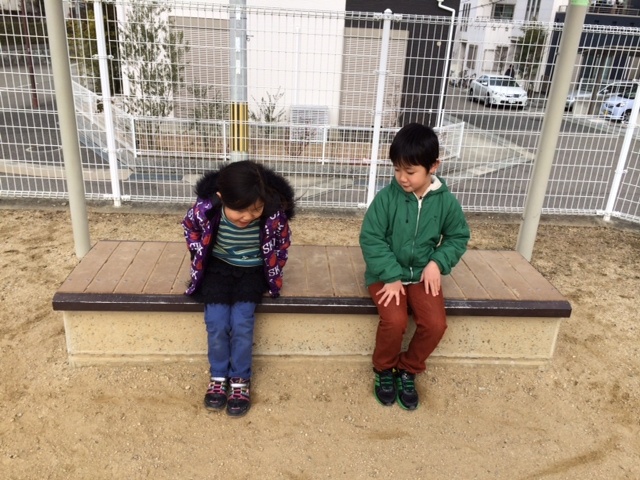 It could be the time and distance…but more likely it is that they have become more aware of cultural norms… in first grade usually the boys play with the boys and the girls with the girls. They didn’t know how to “be” together anymore. Coming back – I have sensed that a bit with some friends – trying to figure out how to “be” again. Or who we are in relation to each other when the same neighborhood, english class, school is no longer a common denominator. But in general it has been so wonderful to see how much love and fondness can carry friendship forward, even despite time and distance. And in some cases, the very act of coming back and taking the time to call and visit friends opens new avenues of trust and friendship. I was able to pray with Tomo’s mom for her and her new baby who is coming; we found ourselves in tears together. I hadn’t known her well before but suddenly our hearts were more knit together. We will need to keep working on Olivia and Tomo so that Aki and I can continue our friendship. Thinking a lot about what breaks – and makes — friendships.